How is the Internet different from what came before? We’ve had great art, music, film, and writing for far longer than we’ve had the World Wide Web. What we didn’t have were global conversations and collaborations that millions can participate in. The Internet has lowered barriers to participation in culture, politics, and communities of interest. Copyright’s safe harbors for intermediaries are essential to making this possible. But today, those safe harbors are under threat from laws like Article 13 of the EU’s proposed Copyright in the Digital Single Market Directive. And some voices in the U.S. want to gut the safe harbors here. In the U.S., the safe harbors of the Digital Millennium Copyright Act protect Internet companies of various kinds against the possibility of massive copyright infringement damages when one of their users copies creative work illegally. In return for that protection, Internet companies have to take some concrete steps, like adopting and enforcing a repeat infringer policy. Some companies—the ones that store user-uploaded content—have to register an agent to accept and act on takedown notices from rightsholders (the familiar “DMCA notices”). The law is explicit that Internet companies aren’t required to surveil everything uploaded by users to find possible copyright infringement. It also provides a counter-notice process for users to get non-infringing uploads put back online. This system is far from perfect. At EFF, we spend a lot of time calling out abuses of the DMCA notice and takedown regime—abuses that the law makes far too easy. We’ve also fought to make the penalties for improper takedowns a meaningful deterrent. But for all our criticism of the existing safe harbor, it is vital to preserving many of the things we all love about the Internet—especially the ease of participation that it enables. To understand why, we need to look at some basic principles. First, the Internet is fundamentally a big copying machine. Every transmission of data, whether it’s downloading a Web page, submitting data in a form, or interacting with an app, involves copying data. Second, copyright is automatic and ubiquitous. In the majority of the world, most forms of creative work are covered by copyright the moment they are recorded. Not only are professionally made books, films, software, sheet music, and musical recordings automatically copyrighted, so too are personal emails, posts, snapshots, and home videos—the very things that we’re used to sharing. Third, copyright nominally covers every act of copying or distribution, even acts that don’t harm the rightsholders in any way. While fair use protects many of these uses, it does so without a lot of certainty in many cases. And fourth, the penalties for copyright infringement can be mind-bogglingly high. U.S. law allows rightsholders to ask for “statutory damages” of up to $150,000 for each work, without having to produce any evidence of harm. The damages awarded by courts are frequently massive and unpredictable, making many uses of creative works a game of financial Russian roulette. For a platform that hosts thousands of works, even an honest mistake or oversight can mean bankruptcy. What does this mean for Internet users? Websites and apps that operate more like traditional media have ways of addressing copyright risk. 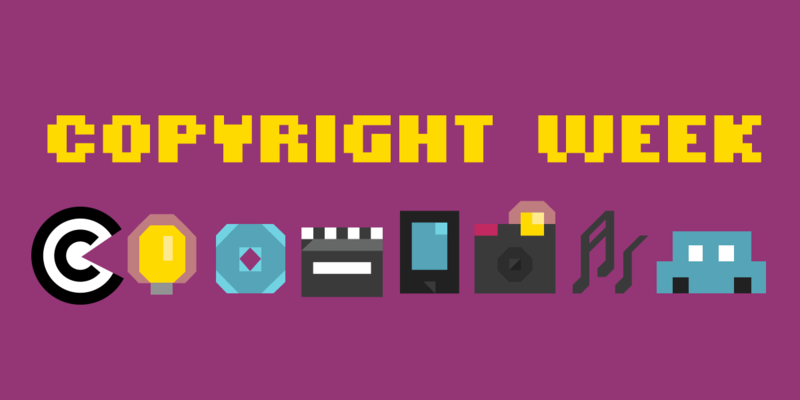 A site that creates and curates a limited amount of creative material can make reasonably sure that none of it infringes copyright, and buy insurance to address the risk of mistakes. On the other hand, any Internet site that accepts contributions from a broad public—even a simple comments section—has no practical way to verify that every upload isn’t infringing, and that a rightsholder won’t appear from anywhere on the globe brandishing a company-destroying lawsuit. Website owners need a set of practical, feasible steps they can take that will protect them from this risk if they’re going to accept user-generated content at all. That’s where safe harbors like the DMCA come in. Without the safe harbors, the only way for Internet companies to reduce their liability risk to a level that insurers and investors will accept is to stop accepting user-uploaded content at all. That would make the Internet look a lot like cable television, broadcasting, or traditional publishing: a bounded collection of creative material selected as much by financial clout and elite power relationships as by interest or artistic merit. Much of the Internet’s uniqueness and vitality would be lost. In order for the safe harbors to safeguard public participation on the Internet, they need to be usable by a wide variety of Internet users, from the largest social media platforms to the humblest blogs and apps. A safe harbor that puts onerous requirements on intermediaries to filter, police, and remove alleged copyright infringements risks the same results as losing the safe harbor entirely. That’s what makes the current efforts by the recorded music industry and its allies so troubling. They are asking lawmakers to condition the safe harbor on Internet companies’ agreement to filter all uploads against some database of copyrighted works, and remove or block the uploads that match a work in the database. The problems with this approach are legion. Because copyright is automatic and ubiquitous, nearly every Internet user is also a copyright holder. Building a database of every bit of creative work that traverses the Internet is impossible, but without that, Internet companies would be vulnerable to crippling lawsuits from potentially millions of rightsholders. Such a system would also be wide open to censorious abuse. It’s often very hard to find out who holds the copyright in a particular bit of creative work. Even the major media and entertainment companies, who are in the best position to know what works they own, often struggle with this. Today, the ease of sending a DMCA takedown notice to make user-uploaded material disappear from the Internet, and the lack of effective deterrents for sending a false or careless takedown, make the DMCA ripe for abuse. A new requirement for upload filters, shared databases of content to be filtered, or other proposals, would make this form of censorship even more powerful and ubiquitous. Even without bad actors, automatic filters simply cannot account for fair use and the other limitations on copyright intended to protect freedom of speech. The same audio, video, or text may be infringing in one context and perfectly legal in another. Takedown bots cannot tell a parodic, journalistic, or educational use of creative work from an unjustified commercial use. And they can’t determine how much of a work is OK to use, because that depends greatly on context. Bots can’t even tell if a particular user is licensed to post content, which is why takedown services hired by the major entertainment companies sometimes take down clips uploaded by the companies themselves. Users whose posts and uploads are caught in these filters would find themselves having to prove their innocence on a regular basis—or give up and leave only the professionally produced content of the well-connected up online. This is what the EU’s Article 13 will do. Though the current drafts don’t explicitly mention filters, they leave no other way to avoid copyright liability, short of ditching all user-generated content. If Article 13 becomes law in Europe (or even if it doesn’t) we can expect to see the Recording Industry Association of America and its allies push for something similar in the U.S. The loudest voices calling to gut the safe harbors point to Google, Facebook, and a few other large Internet companies as the targets of a new law. Those massive platforms certainly dominate many people’s experience of the Internet today, and they collectively host and transmit billions of copyrighted works. And given the growing, well-deserved criticism of these companies’ privacy and content moderation practices, it’s tempting to support any legal changes that would further regulate their behavior. But copyright’s safe harbors don’t just protect Internet companies from liability—they protect all of us from being arbitrarily and unaccountably silenced online whenever our digital lives intersect with some bit of creative work to which a stranger has laid claim. Besides, Google and Facebook are not the entirety of the Internet. We’ve yet to see a proposal that would successfully remove the safe harbors for those companies while reliably preserving it for others. Second- and third-tier Internet companies and even nonprofit projects like Wikipedia would be at risk. And while the search and social media titans may have the cash to implement massive copyright filters and the political clout to shape the law’s rough edges, small and mid-sized Internet companies and projects will be caught in an expensive bind. As we wrote recently, while America’s tech giants would prefer no regulation, they'll happily settle for regulation that's so expensive it clears the field of all possible competitors. Copyright’s safe harbors are vital to preserving many of the Internet’s unique strengths, especially for smaller companies and individual users. This inescapable fact needs to be part of every discussion about how to regulate the Internet going forward.